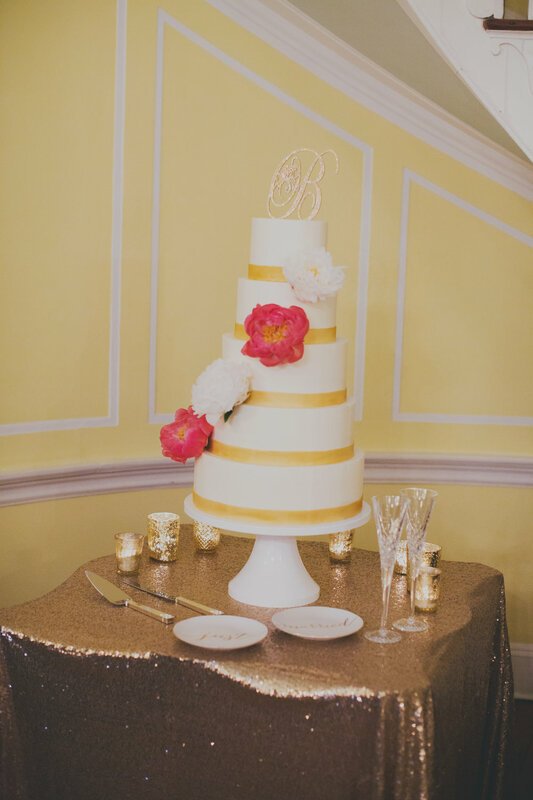 Carolyn + Blake's colorful Lowndes Grove Plantation Wedding was simply stunning! 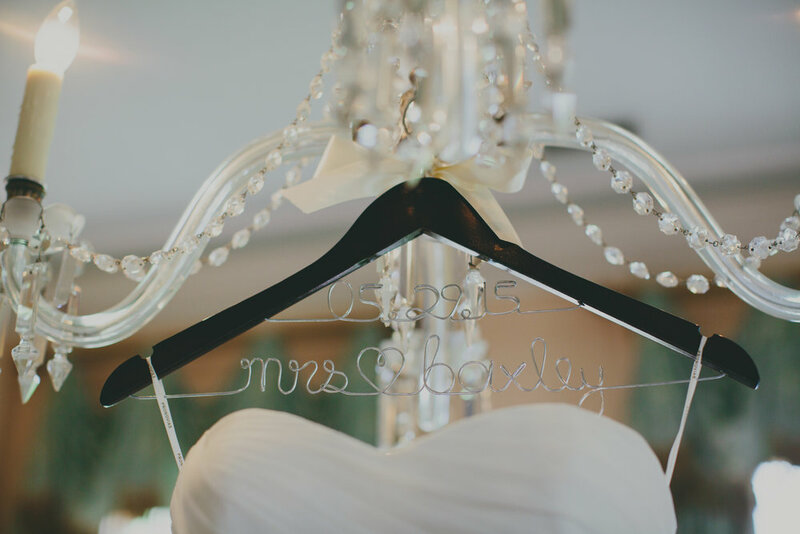 The tent was draped in a beautiful tiffany blue with pops of pink and gorgeous chandeliers. 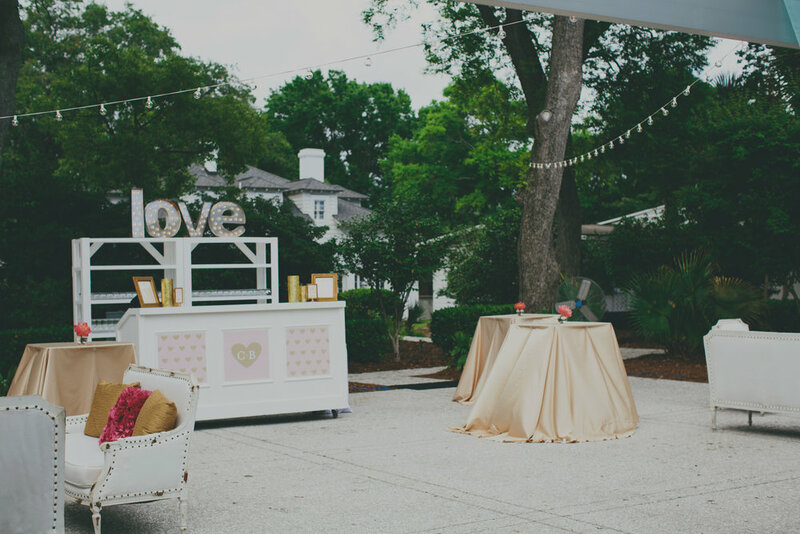 Sit back and take in all the pretty details; the perfect pair of pink Valentino's, personalized koozies, heart shaped ceremony fans, lanterns, specialty cocktails, custom bar pannels and much much more! 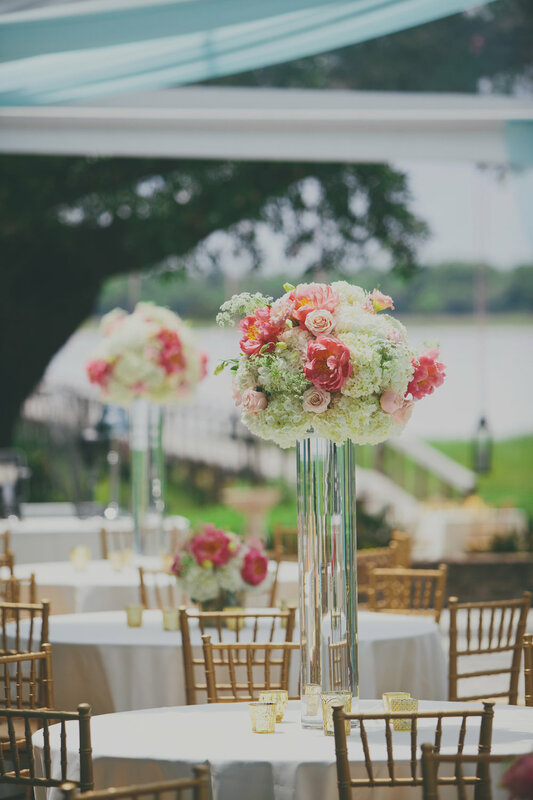 The floral centerpieces created by Branch Design Studio were full of white hydrangeas, coral peonies, garden roses, astilbe, dusty miller, and ranunculus. White lounge groupings were set up on both sides of the bar with pillows of the couples new monogram. There was a specialty "Love" sign above the bar provided by 428 Main that lit up the night. The bride was a huge lover of champagne so they had mini champagne favors for their guests, how cute! 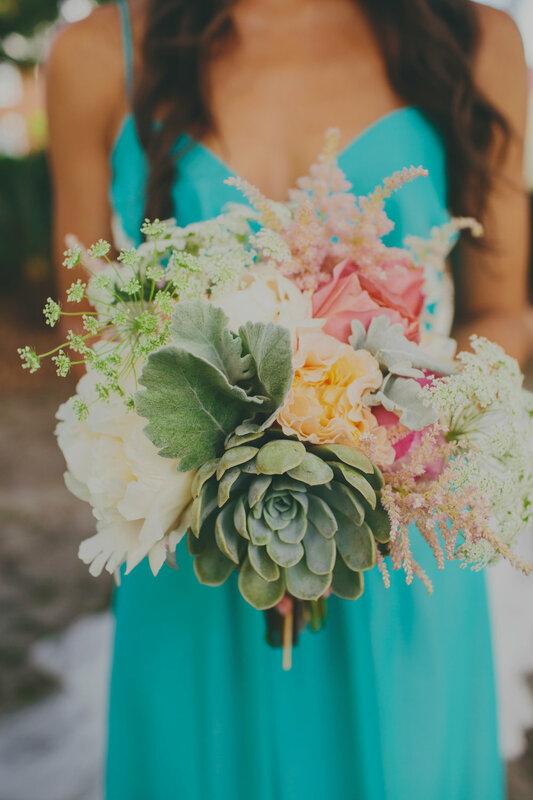 Everything from the bright blooms, teal draping, gold sparkle, and lots of details made for the perfect romantic day! 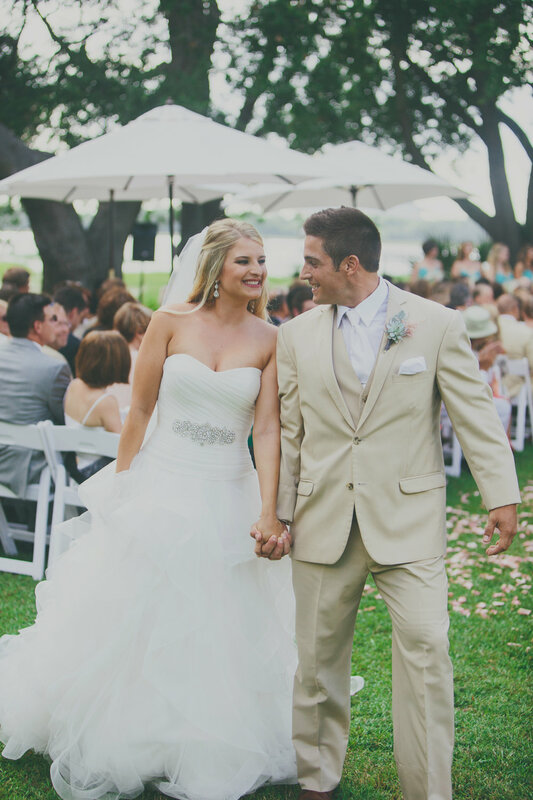 In the brides words, "Best Day Ever!" Photo Booth | Oh Snap!